Father and son are not only united in death but are also together forever as Legacy Donors. Father and son are not only united in death but are also together forever as Legacy Donors. 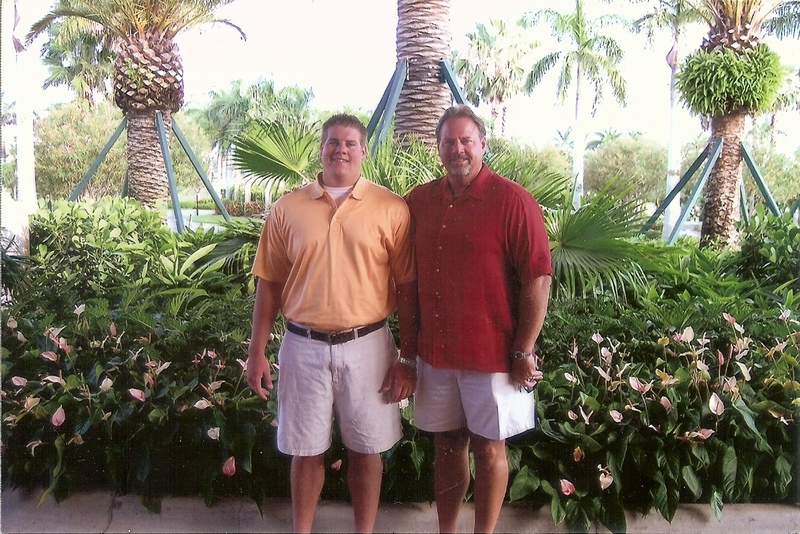 Terry’s and Brandon’s passion for football was endless; so much so that both men decided to become donors to help promote medical and scientific research for brain related injuries. Their decision to be part of the same team for concussion advocacy, awareness, education, understanding, diagnosis, and injury management will hopefully help protect players of all ages and make the game they loved that much safer. My son Brandon was the first Concussion Legacy Foundation donated brain of a professional and former NFL football player to be diagnosed “without” evidence of Chronic Traumatic Encephalopathy (CTE) by the research team at the Boston University CTE Center. I distinctly remember watching Bob Costas’s Super Bowl XLVI special in 2012 and listening to the discussion about the issues relating to safety on the football field. Bob Costas had several guests, including Concussion Legacy Foundation Co-Founder and Executive Director Christopher Nowinski, who reported that of the 19 former NFL brains that had been donated, 18 were diagnosed with CTE. Only a year later at Super Bowl 2013, it was widely discussed by several media organizations and NFL players about football’s concussion crisis where 34 out of the now 35 donated NFL brains were diagnosed with CTE. 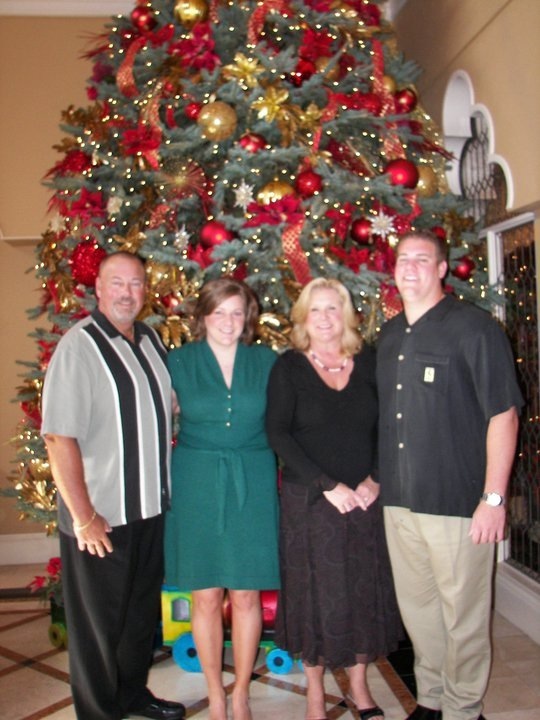 That one NFL donated brain “without” CTE was my son’s, Brandon Patrick Joyce, age 26. One of the other 35 NFL donated brains studied “with” CTE, was Brandon’s father and my husband, Terrance Patrick Joyce, age 56. Terry was diagnosed by neuropathologist Dr. Ann C. McKee with CTE of one solitary perivascular focus of tau immunopostive neurofibrillary tangles (NFTs). Brandon was the victim of an unspeakable crime: murder. On December 24, 2010 four cousins, all with extensive criminal histories, shot Brandon in the head during a confessed, planned robbery. Four days later, Brandon succumbed to his injuries and passed away on December 28, 2010 at the age of 26. We were then forced to endure not only the indescribable grief of losing Brandon but also a crash course on criminal proceedings. My daughter, Dr. Lindsay Joyce, and I had to go through an unimaginable, excruciatingly painful legal process of the prosecution of all four of my son’s murderers, all of which have since plead guilty and are currently serving 20 to 45 years in prison. In life, Terry and Brandon were alike in many ways; so much so that Brandon described the closeness of their relationship as if they were literally one and the same. Upon learning that his father’s brain cancer had returned and after witnessing his dad’s debilitating depression, Brandon texted me, “Mom you are the best mother ever but I love my dad and I feel like him and I am him. Get him that anti-depressant; help him now because he is stronger than that.” Both Terry and Brandon experienced the dream of becoming NFL football players. Terry was a former St. Louis Cardinal, Los Angeles Ram, San Francisco 49er, and Detroit Lion. He played both Punter and Tight End. Brandon was an Offensive Tackle for the United Football League (UFL) Toronto Argonauts and had been on his hometown team the St. Louis Ram’s roster the year he was killed. Both were Rams, Terry in 1978 and Brandon in 2010. They were big, smart, massive, strong, vibrant, and funny men, both 6’6″ tall weighing over 300 pounds each. Both shared a passion for sports, including: football, basketball, baseball, golf, and were blessed with amazing athletic abilities. Both Terry and Brandon were marked with the same scar from brain surgery prior to their passing; Terry’s, a result of brain cancer and Brandon’s a result of a gunshot wound to the head at the hands of others (homicide). Both brains, NFL father and son, were donated to the BU CTE Center. On June 17, 2011, my loving husband, Terry Joyce, died at the age of 56 at home, surrounded by me and my daughter. A parent should never have to bear witness to their child’s murder; a parent should never have to bury their child; a parent should not have to die without both of their children by their side. Exactly six months to the day of Brandon’s shooting, we buried Terry next to Brandon. Jackie Smith, Hall of Fame Tight End, provided an amazing voice and tribute to both Terry and Brandon by singing “O’ Danny Boy” at both of their memorials. 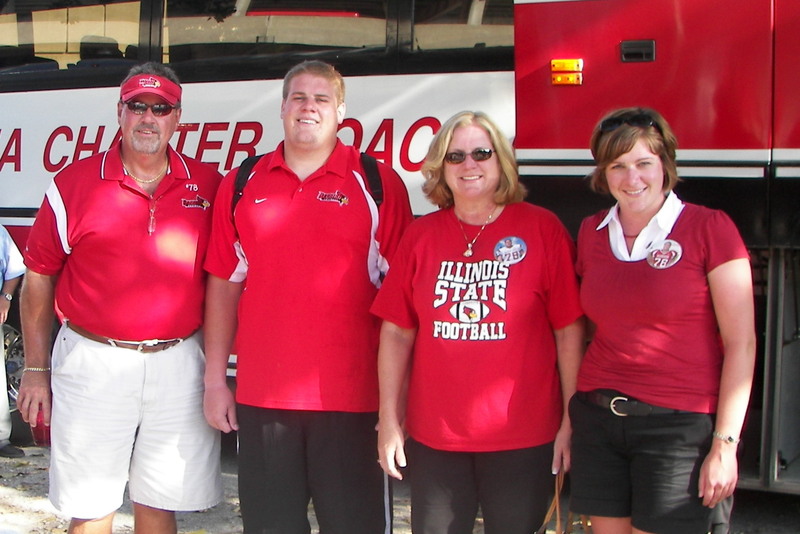 At the age of 12, Terry won Missouri’s “Punt, Pass & Kick” competition and was awarded a plaque and Cardinal helmet. 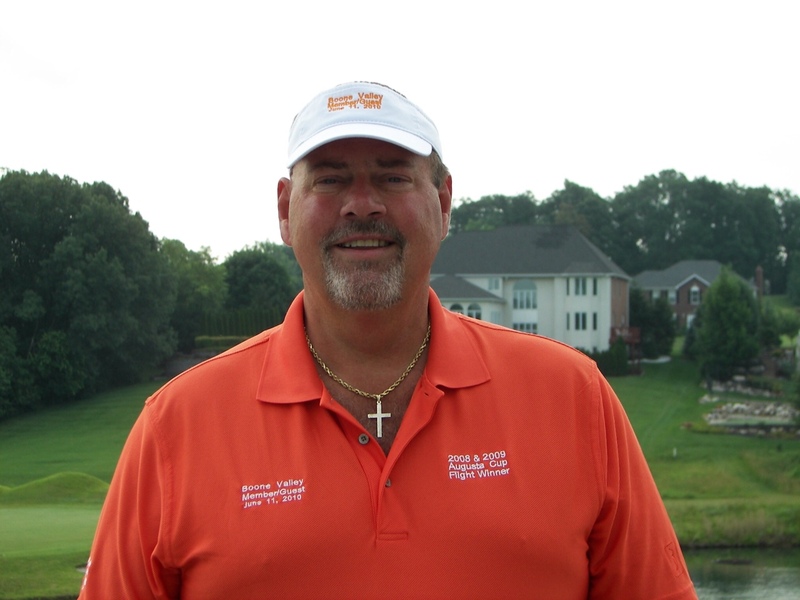 Terry participated in football, basketball, baseball, golf, and track & field while attending Knox County High School from 1968 to 1972. Terry’s #10 Jersey was retired at a half-time ceremony of the Knox County varsity football home opener on September 9th, 2011. A marquis is planned near the entrance of the Knox County R-1 campus east of Edina in memory of Terry, the only NFL player to date in school history. Terry was so gifted athletically that he was not only offered contracts to play professional football but also professional baseball. 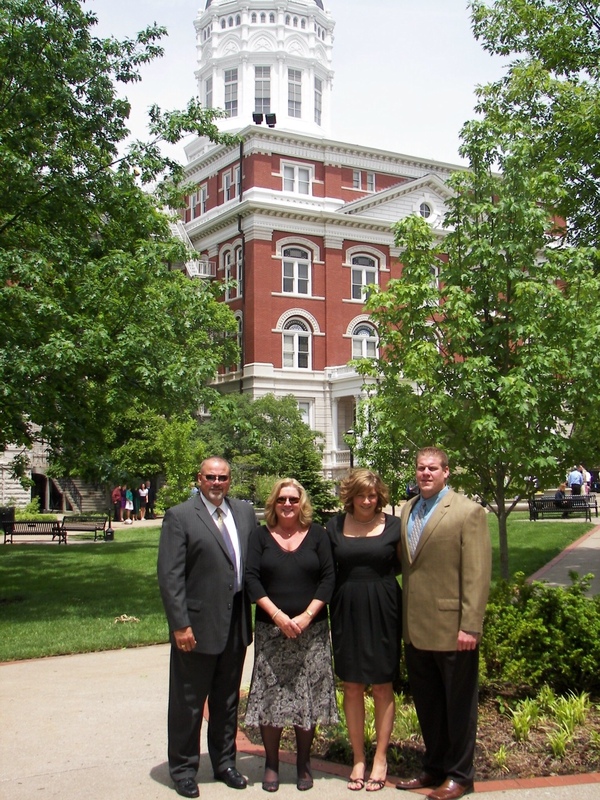 As a senior at Knox County High School, Terry was scouted and offered a baseball contract by the Cincinnati Reds. He, however, chose college football and went on to play at Highland Community College in Kansas. 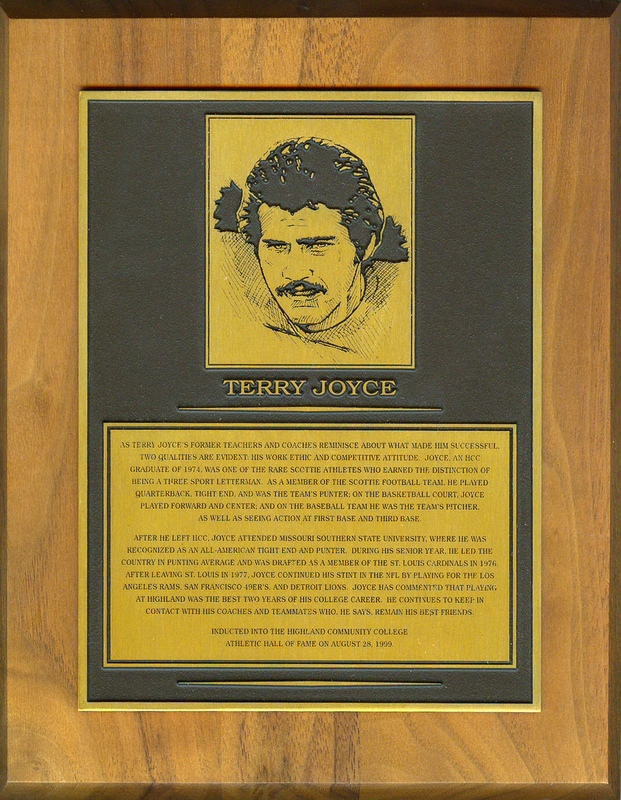 Terry was inducted to Highland Community College Athletic Hall of Fame as a three-sport letterman. As a member of the Scottie Football Team, he played quarterback, tight end, and punter. On the basketball court, Terry played forward and center, and on the baseball field, he was the team’s pitcher, along with seeing action at first and third base. 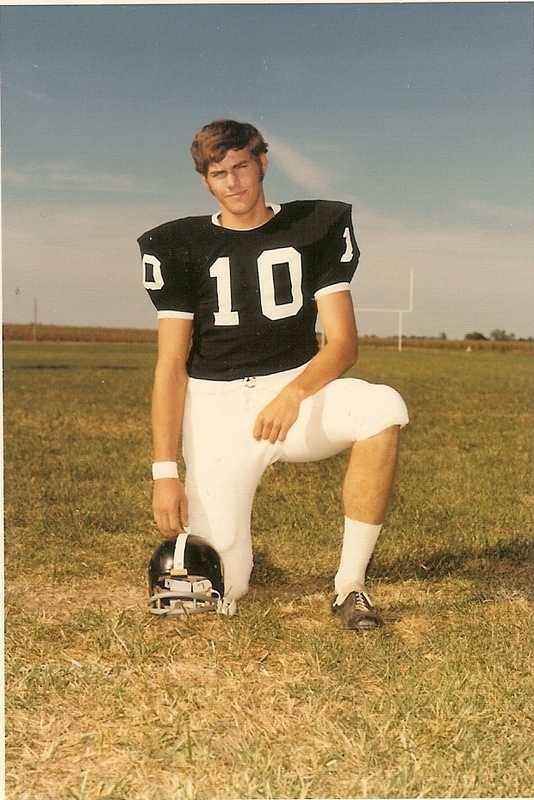 After he left Highland Community College, Terry attended Missouri Southern State University, where he was recognized as an All-American Tight End and Punter. During his senior year, Terry led the nation in punting average and was eventually signed by the St. Louis Football Cardinals. Terry and I met in Kirksville, Missouri, in May of 1976. 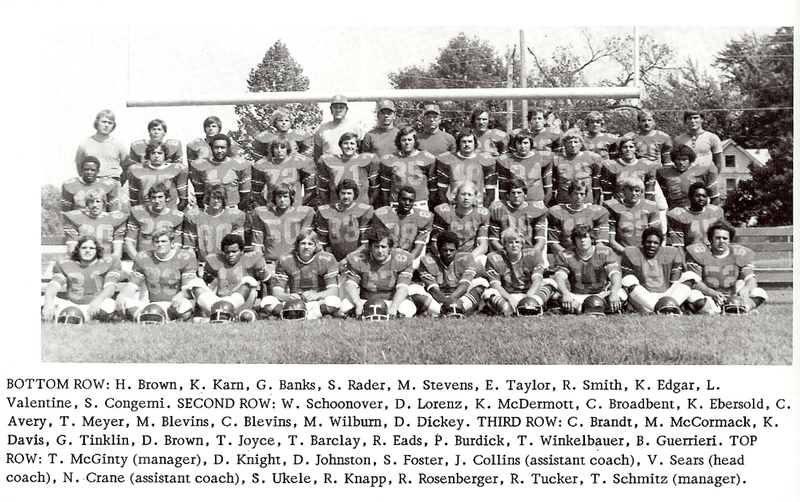 I was 21-years-old entering my senior year at Northeast Missouri State-Truman. Terry was 21-years-old, too, and lived in the nearby small town of Edina, Missouri, total population of 1400. He was at home working-out nonstop getting ready for football camp starting in July in St. Louis. I had plans to go back to St. Louis, where I was born and raised, to begin student teaching in Elementary and Special Education. It was the perfect match! Together, we had so many things in common, including a passion for sports. I had been a loyal St. Louis Cardinal fan my whole life; my dad was a season ticket holder and former high school football coach and assistant basketball coach. I have been enthusiastically cheering for sports teams my whole life, having a true love for football along with a great passion for many other sports. 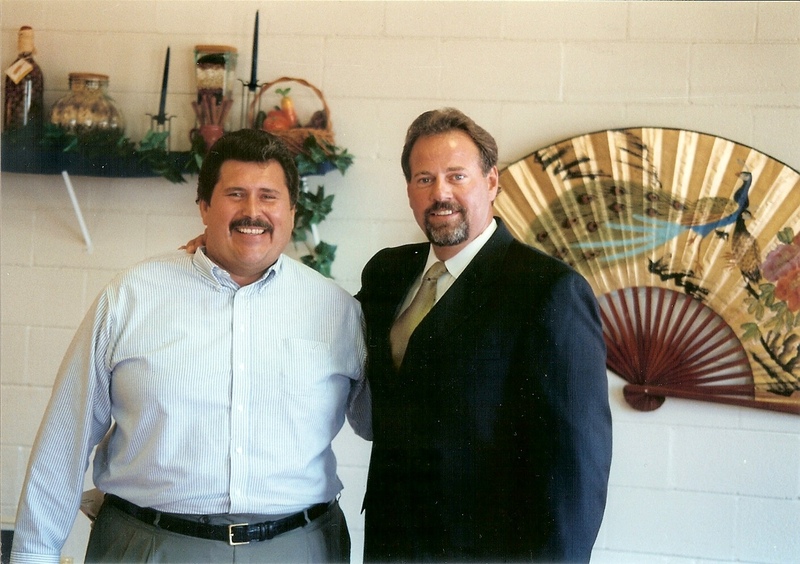 Terry and I were inseparable from the moment we met. Together, we headed to St. Louis in July. 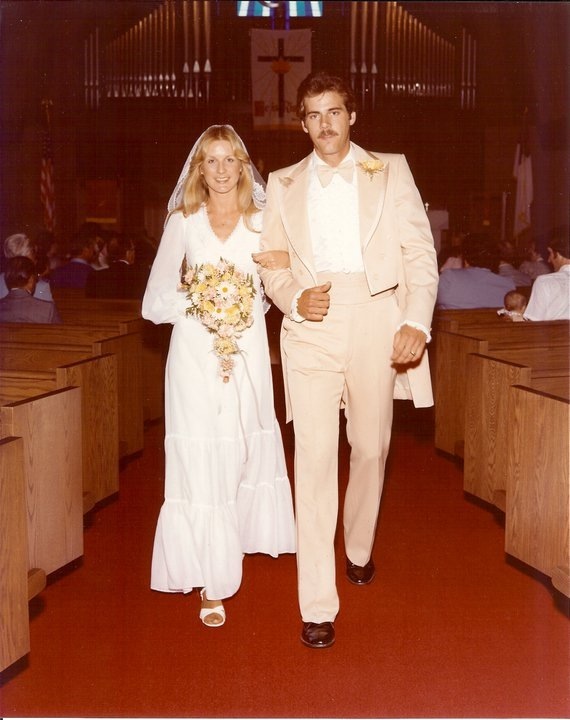 We were married May 27, 1978. Terry would go on to live the dream of playing in the NFL. 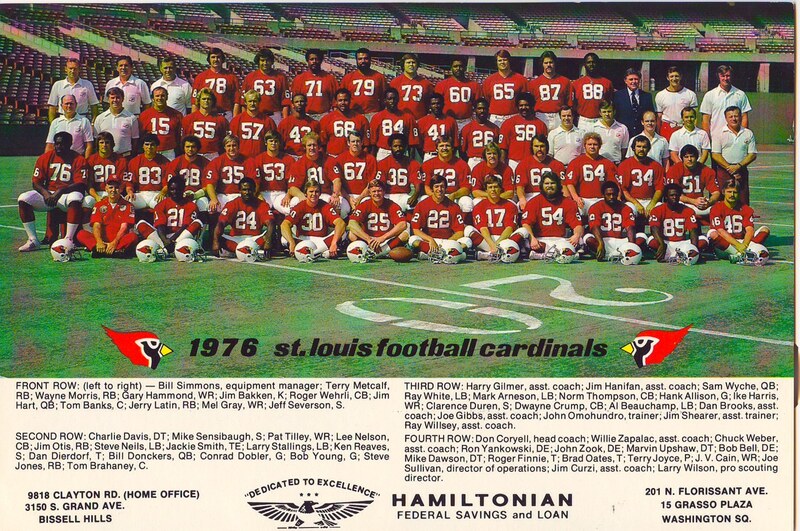 Terry was coached by future Hall of Fame consideration Don Coryell and played with NFL Hall of Famers, Tight End Jackie Smith, Offensive Lineman Dan Dierdorf, and Defensive Back Roger Wehrli on the St. Louis Football Cardinal’s team in 1976 & 77. Terry and I had two children, Lindsay Ann Joyce born April 4, 1982 and Brandon Patrick Joyce born September 5, 1984. Our children, taking after their athletically-gifted father, both became Division-I scholarship collegiate athletes, our daughter Lindsay played Division 1 volleyball for the University of Alabama at Birmingham (UAB) and our son Brandon played Division 1 college football for Indiana and 1A Illinois State. After graduating from UAB with her Bachelors of Science in Biology, Lindsay went to medical school at the University of Missouri-Columbia. 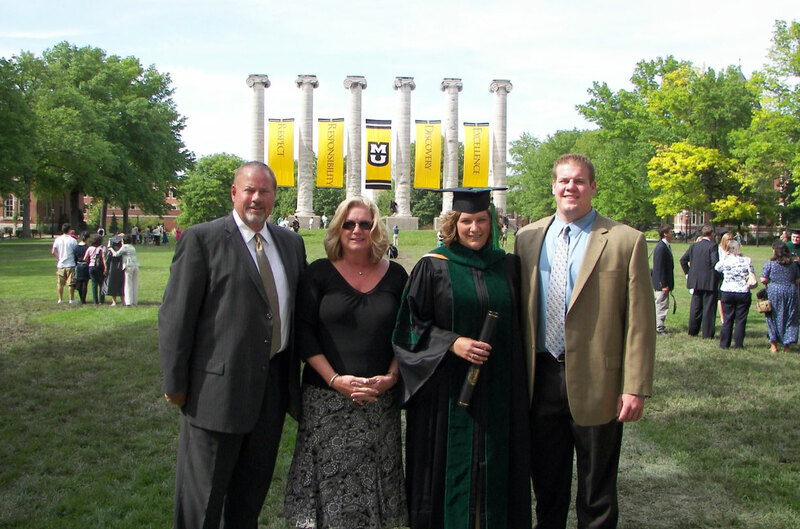 Upon earning her Doctorate in Medicine, M.D., Lindsay went on to complete her residency training in Emergency Medicine at the University of Louisville Hospital, Level I Trauma Center, and is currently an Attending Physician in Emergency Medicine. 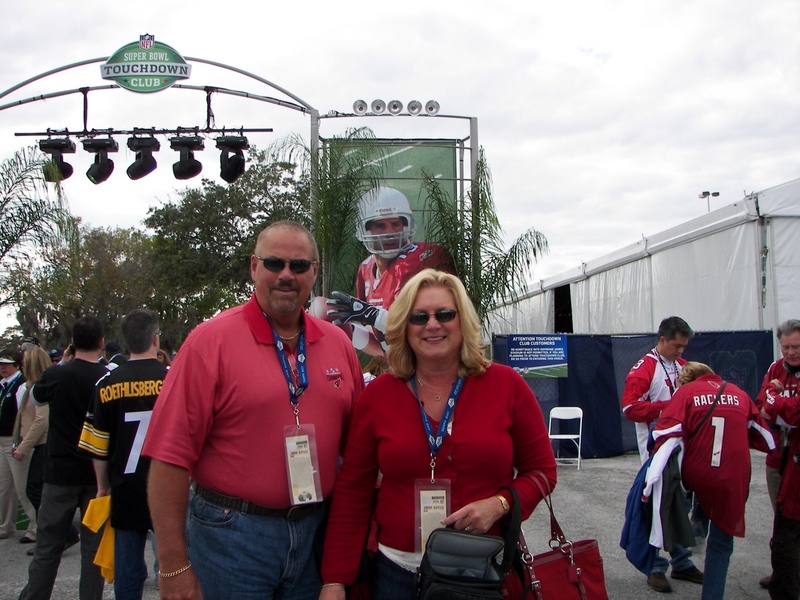 After College, Brandon enjoyed a career in professional football with the CFL, UFL and NFL. 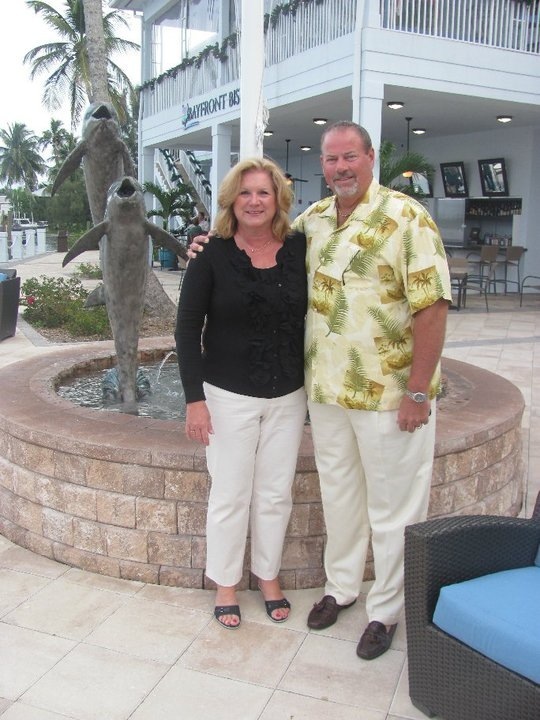 Terry had many, many best friends, and people who truly loved him. From his friends he was also given a lot of nicknames; “The Big Man”, “The Man” “#87″, “Big Foot”, “Daddy T”, “TJ”, “Friendly Terry” and “Big Buddy” to quote a few. 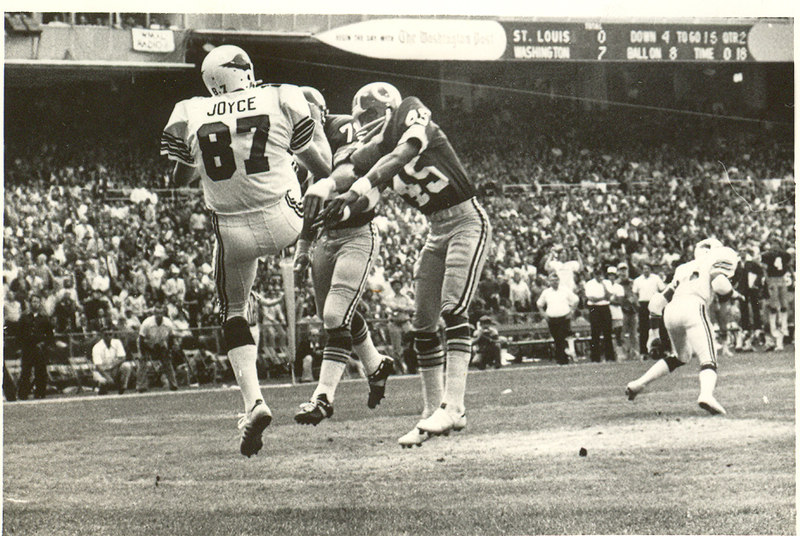 The Edina Sentinel continued to say: Terry Joyce played in numerous charitable golf tournaments for Missouri Southern State, the NFL Alumni and many others. Joyce was a championship flight golfer until the final years of his life. Conrad Dobler, also known as ‘Big Red’, was one of the most feared guards in the NFL during his ten year playing career. Dobler was a Pro Bowler in 1975, 76 and 77. 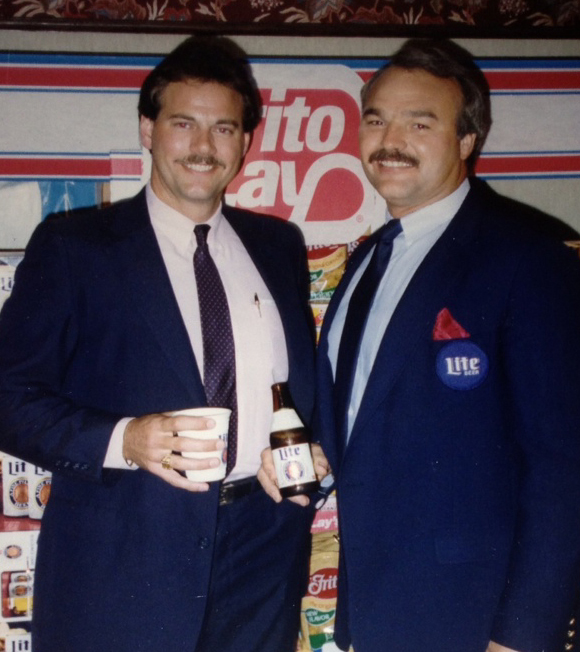 Conrad Dobler currently works for the NFL Alumni in their Kansas City office. 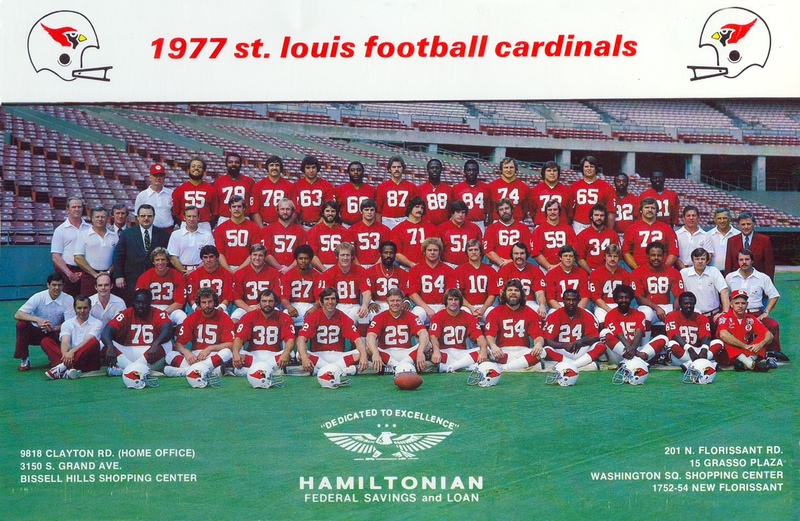 According to NFL Alumni spokesman Jim Morris, the St. Louis NFL Alumni chapter has disbanded. Terry had at least two known concussions. One occurred while playing quarterback for the Highland Scotties. Terry was ‘knocked out’ on a pass play and ended up face down in a muddy puddle. The coaches and players ran onto the field to roll Terry’s mud-caked body over so he could breathe. 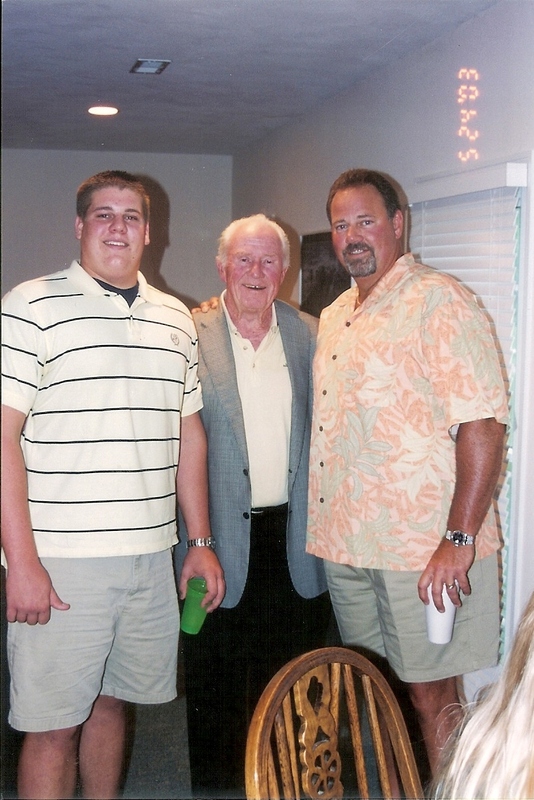 Dale Miller, a lifelong friend and teammate, remembers helping Terry off the field. Terry would later jokingly describe the story of how he woke up in a fog on the bench not knowing what had happened, where he was, or how much time had passed. This was the typical story of concussions back in the day; players were told to ‘shake it off’ and get right back into the game. It is our hope that by sharing Terry’s and Brandon’s stories we will bring attention to the inherent dangers of concussions, that the very important research available through the Concussion Legacy Foundation and the BU CTE Center will be shared and create additional awareness about repetitive concussive and sub-concussive brain injuries, and that these discussions will offer an informed dialogue with parents, youths, coaches, athletes of all ages, and the news media to have a better understanding of the scope of the concussion problem. 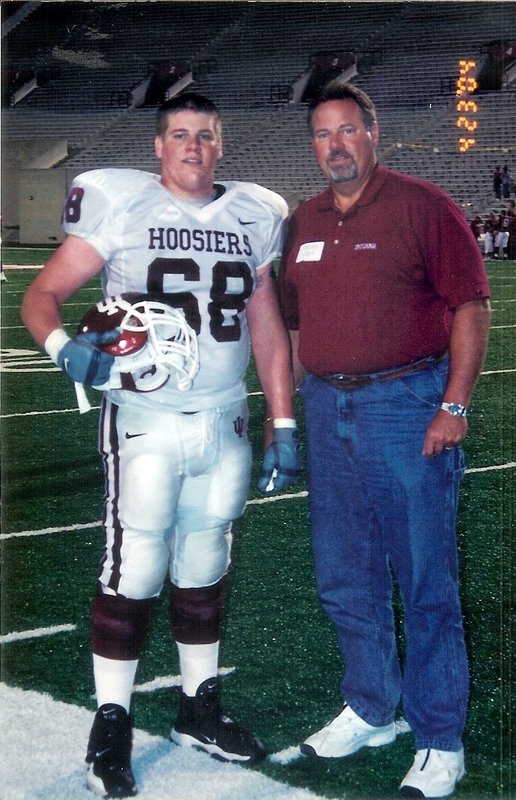 As Legacy Donors, Terrance Patrick Joyce and Brandon Patrick Joyce, father and son, will live on together, both big men, forever on the same team.